Zest the lemons and lay out the zest to dry it slightly. Mix the lemon zest with the salt in a small bowl and set aside. Cut the lemon in half and set aside. 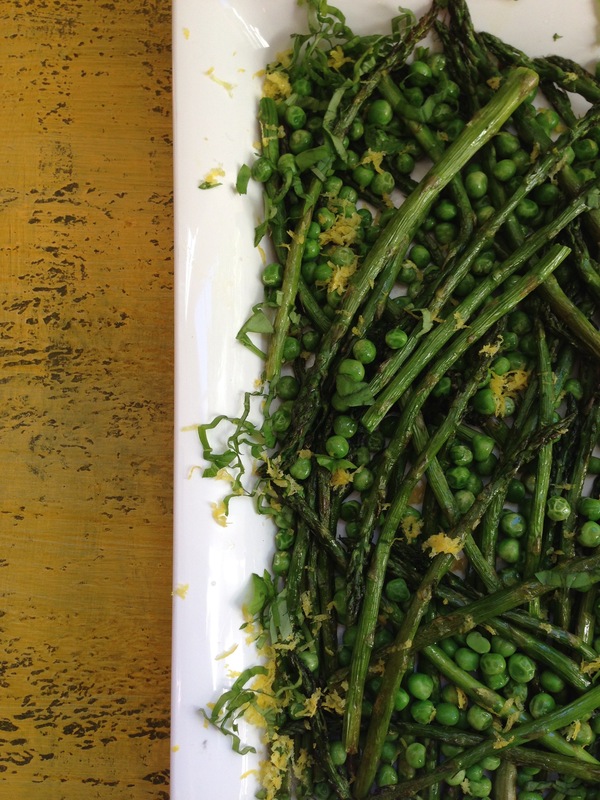 Drizzle the asparagus with olive oil on a baking sheet and toss to coat. Roast until the asparagus have some blackened bits, about 10 minutes. Sprinkle the peas all over the asparagus, toss and squeeze on the juice of lemon. Return to the oven for 3 minutes. Serve on a big platter and sprinkle with the lemon salt and basil before serving.